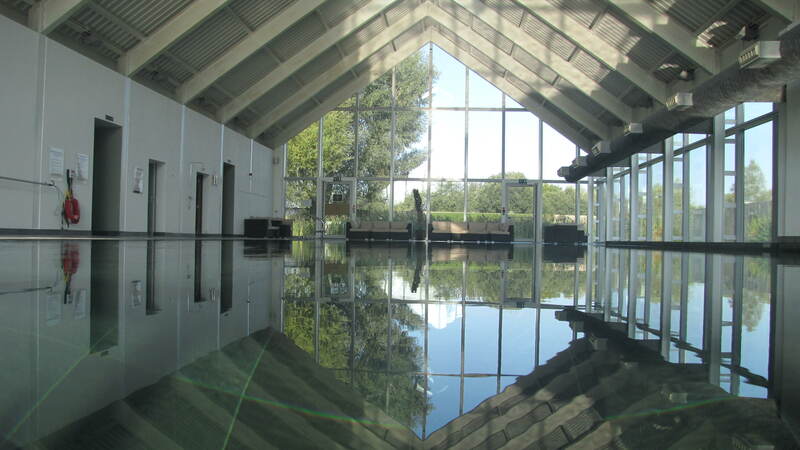 As part of your holiday you have free access to the award winning multi million pound Lower Mill Estate Spa. 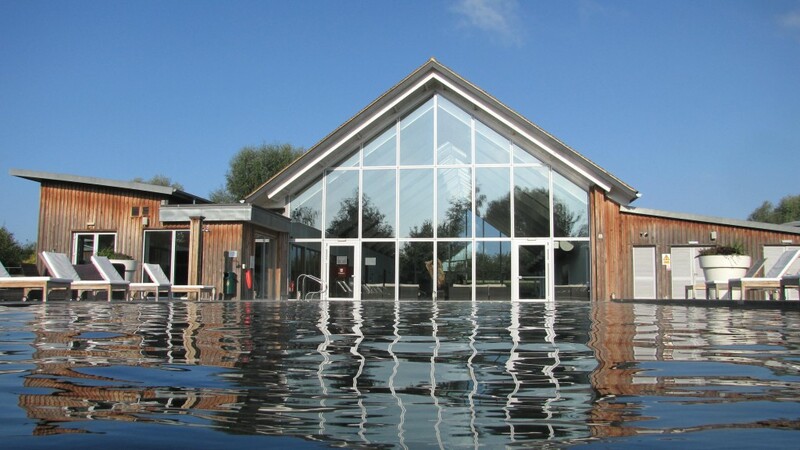 The Art Spa features 3 pools – slate lined heated indoor and outdoor pools and a reed lined eco plunge pool. Or why not relax in the Sauna or Steam room? There is also a well equipped techno gym as well as a wonderfully peaceful library. Take the chance to escape from the rest of the family and treat yourself to some of the wide range of Spa treatments available (at additional cost). The welsh slate lined heated outdoor pool with sun beds around. Perfect for a lazy day. The reed lined eco plunge pool – not for the faint hearted…this one isn’t heated! 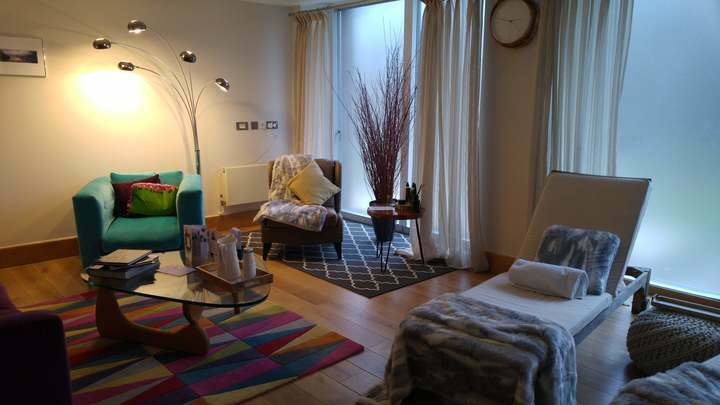 The relaxation room at the Lower Mill Estate Spa – a wonderful tranquil setting. 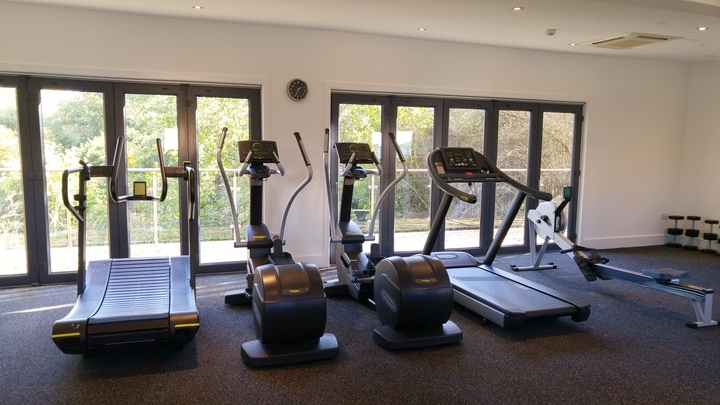 The gym at the Lower Mill Estate Spa.